Sample (30 ug of whole cell lysate). A: H1299. B: Hela. C: Hep G2 . D: Molt-4 . 7.5% SDS PAGE. TA308082 diluted at 1:1000. 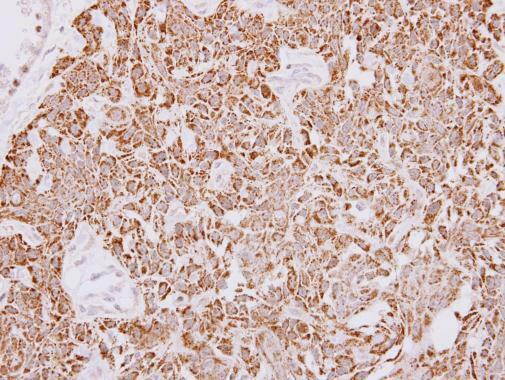 PAN3 antibody detects PAN3 protein at mitochondrion and cytoplasm on Ca922 xenograft by immunohistochemical analysis. Sample: Paraffin-embedded Ca922 xenograft. 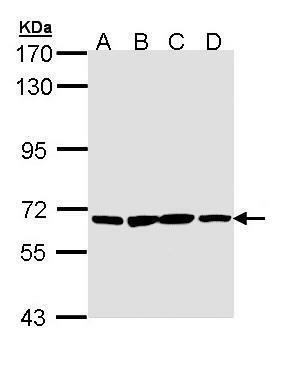 PAN3 antibody (TA308082) dilution: 1:500. 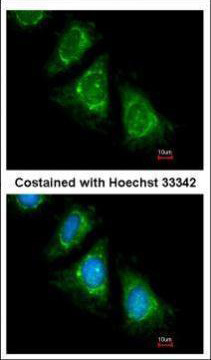 Immunofluorescence analysis of methanol-fixed HeLa, using PAN3(TA308082) antibody at 1:200 dilution.